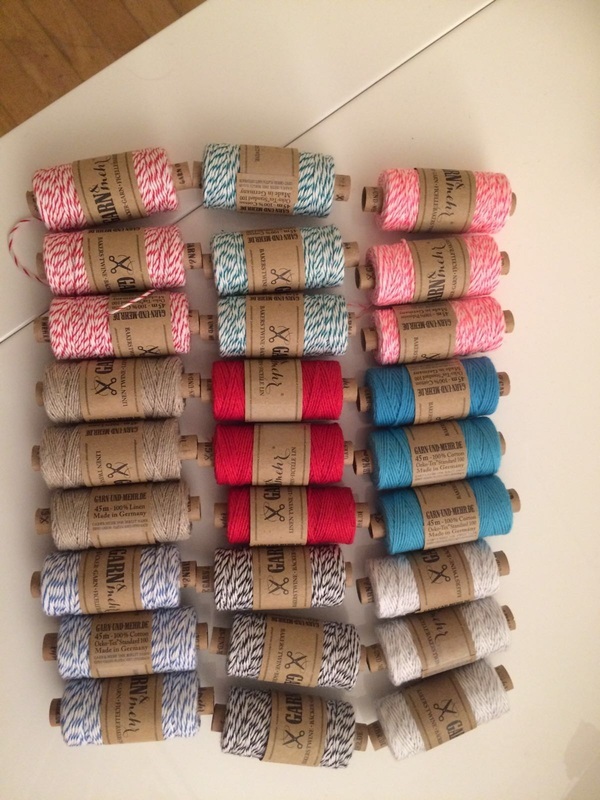 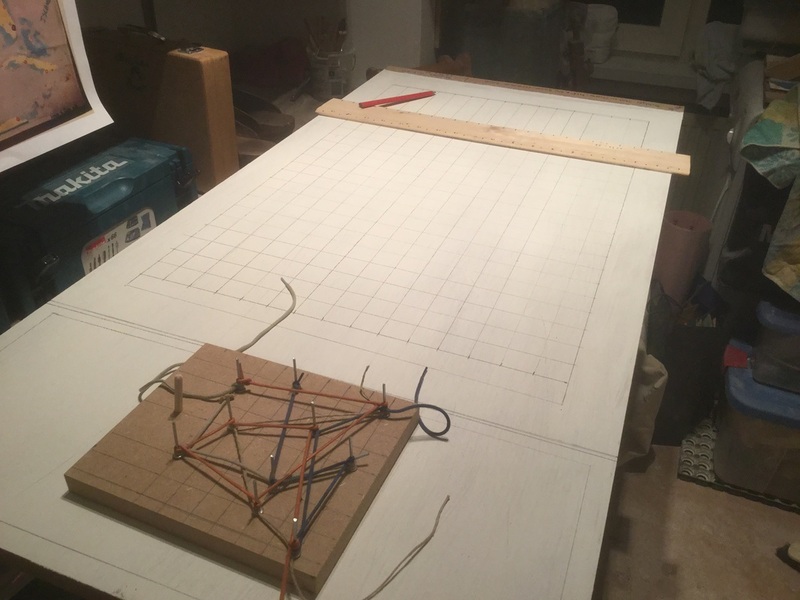 The making of... - Meet the Challenge! 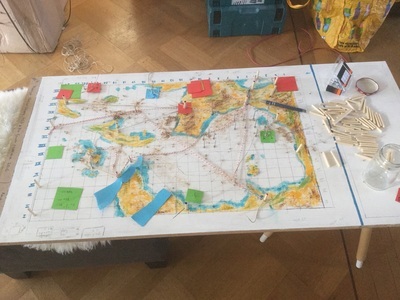 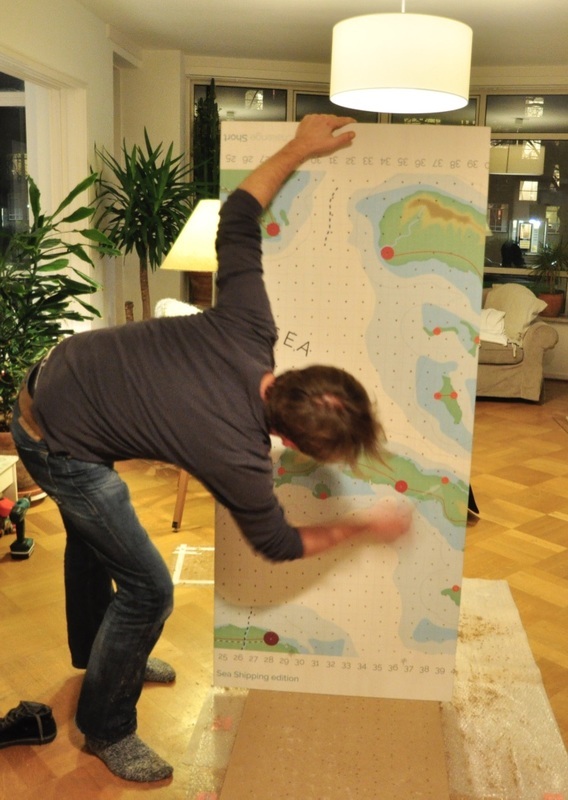 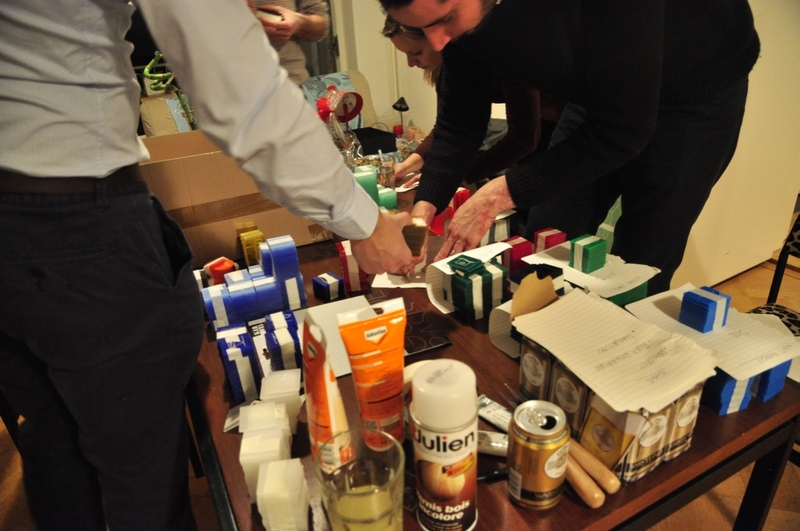 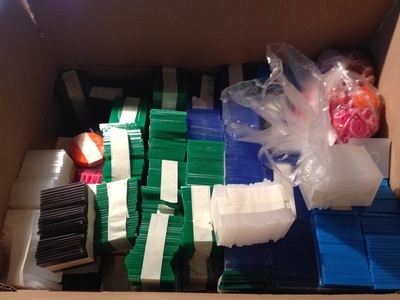 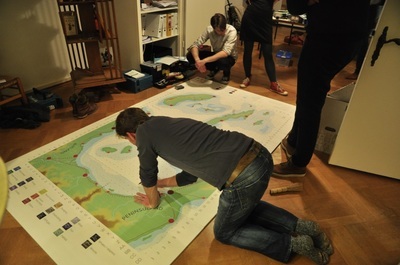 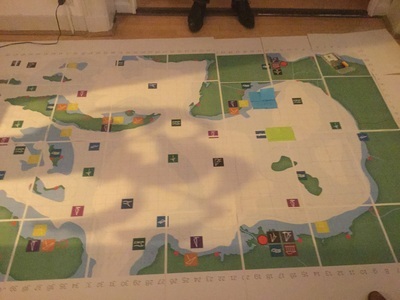 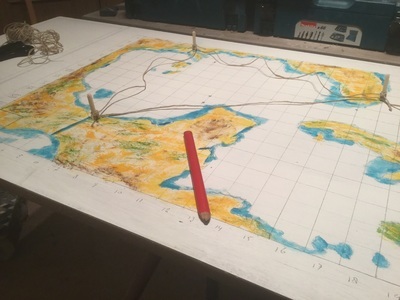 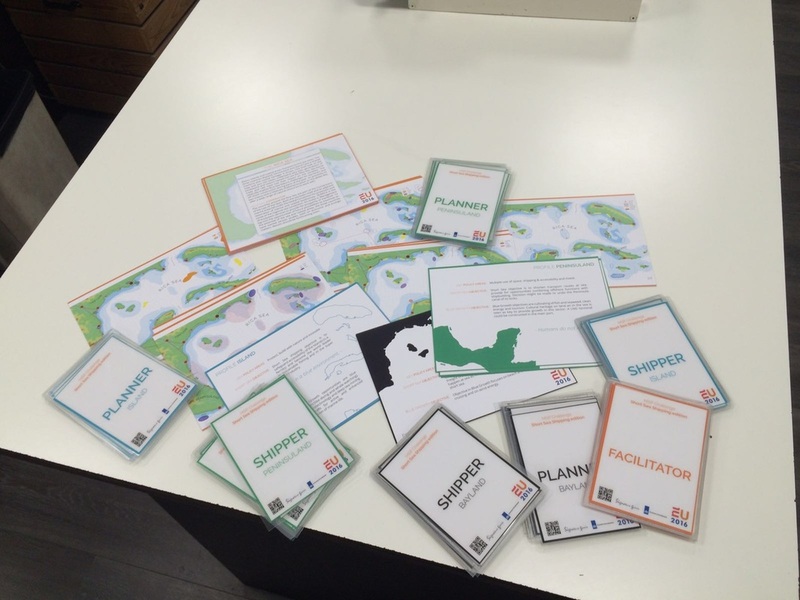 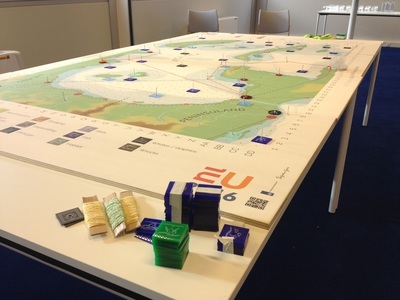 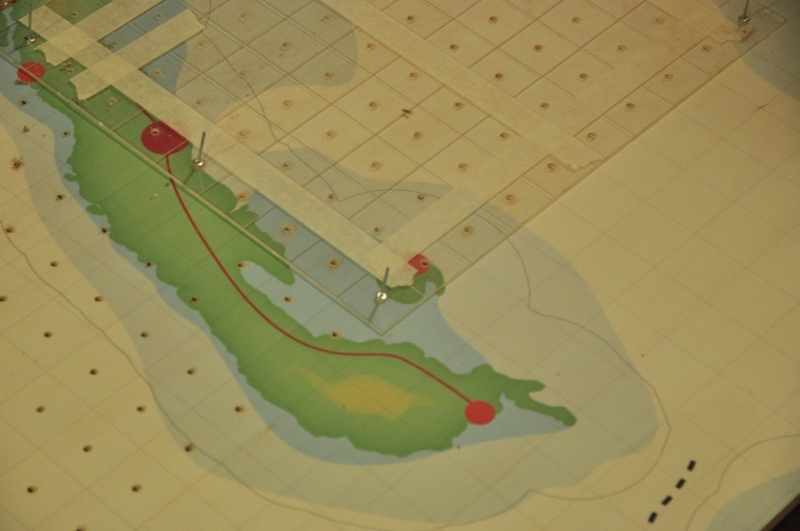 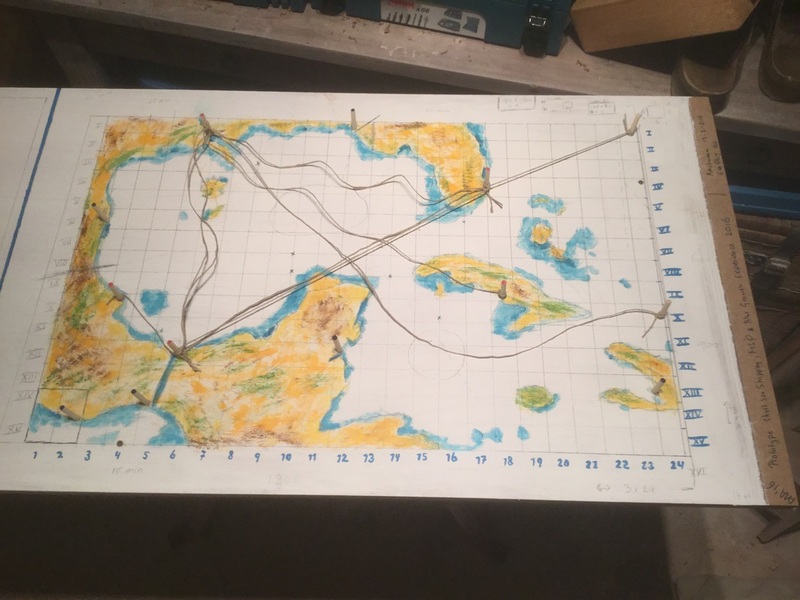 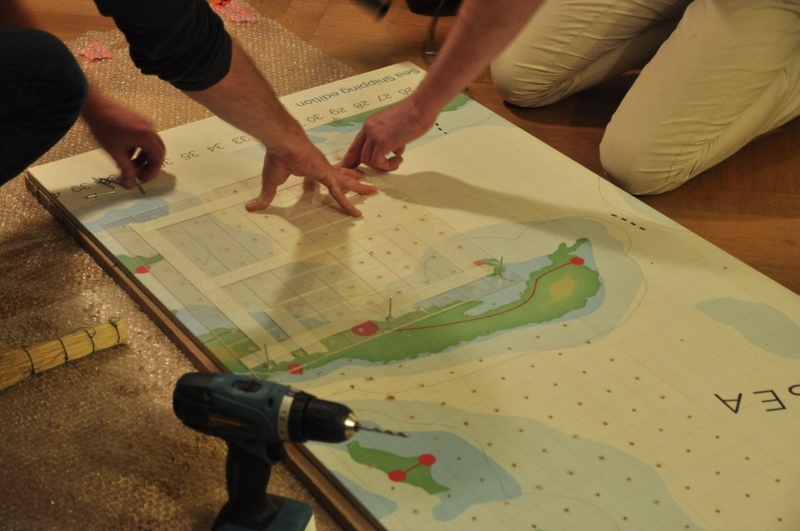 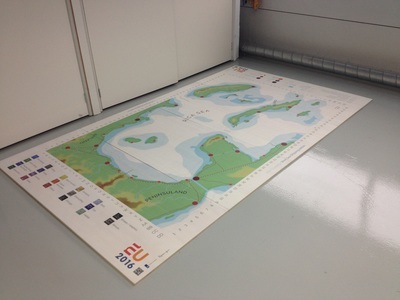 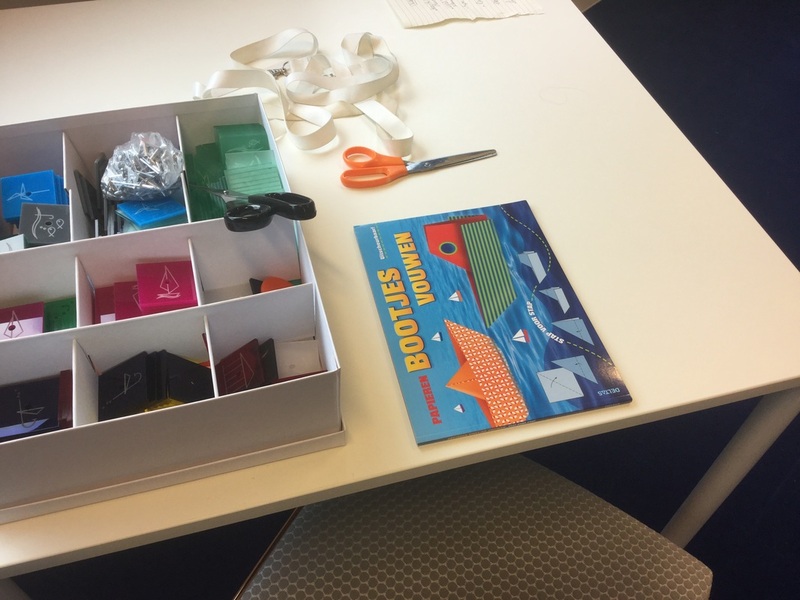 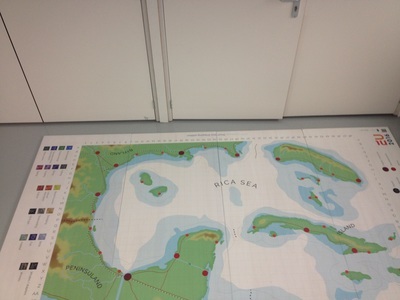 It took us about one month to design and produce the short sea shipping game. Around 20 work days for a team of five persons. 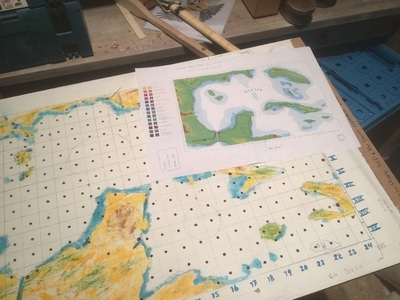 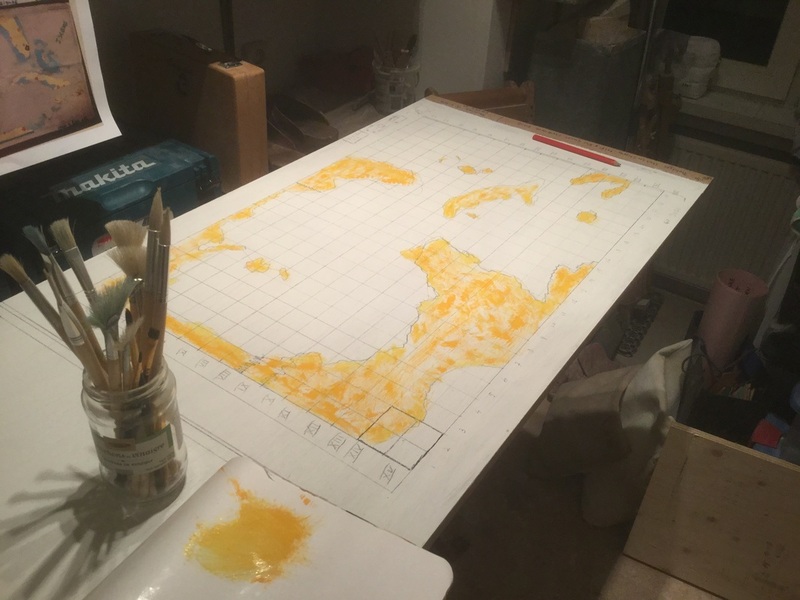 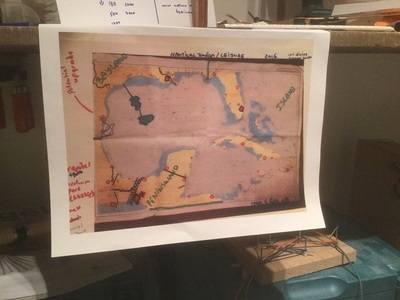 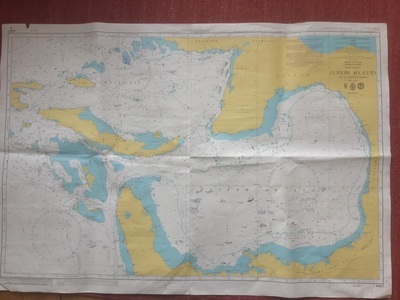 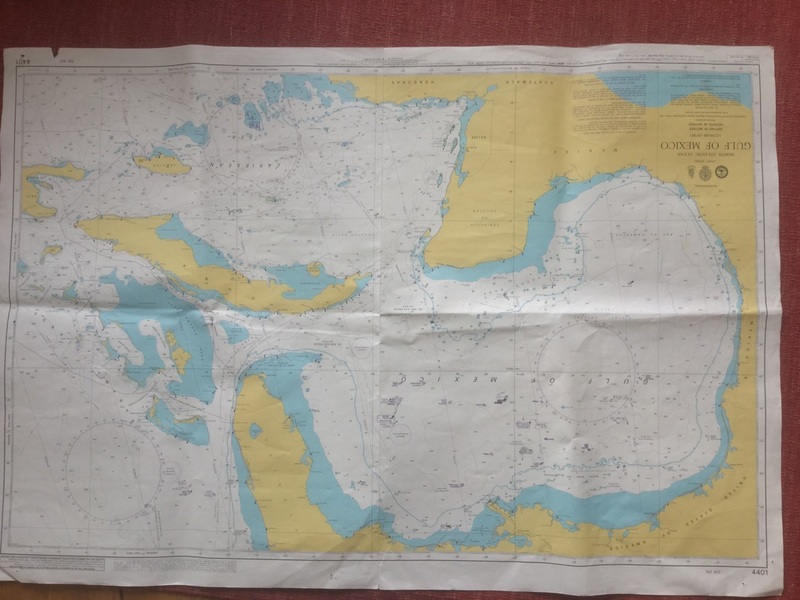 Lodewijk had a rough idea and inspiration from an old sea map of the Gulf of Mexico. 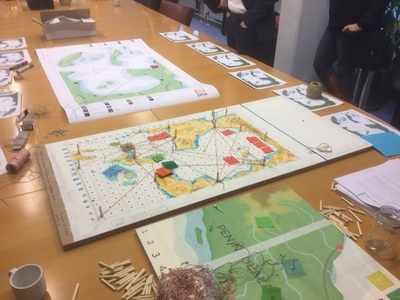 We turned it into a game concept in three short meetings. We wanted a war game, without computers. 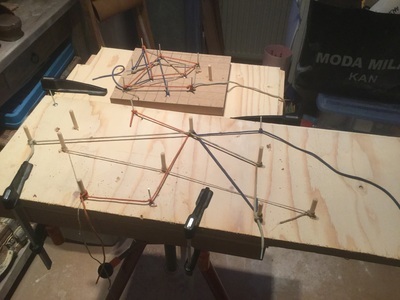 Then we started to develop the prototype, you see below. 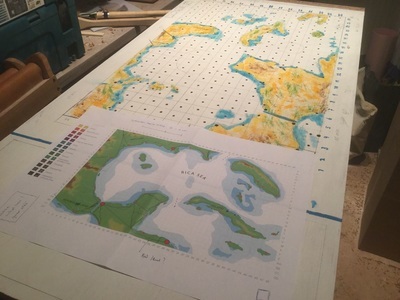 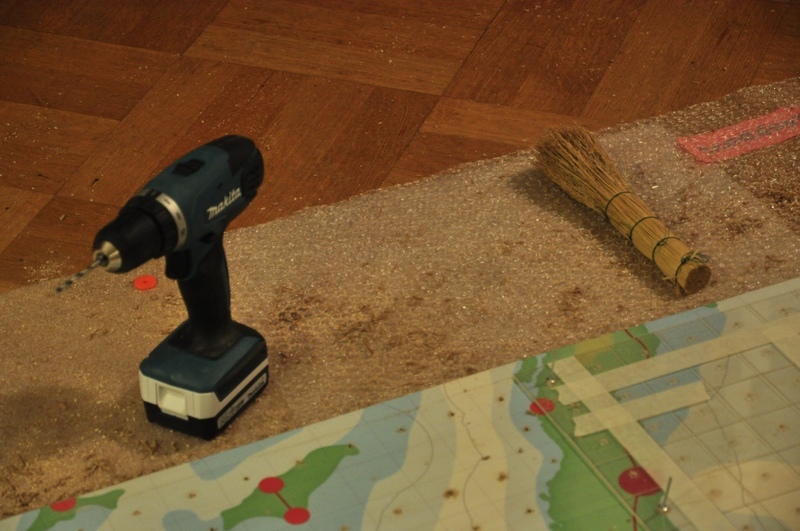 We outsourced printing the map on wood, and laser cutting the tokens. 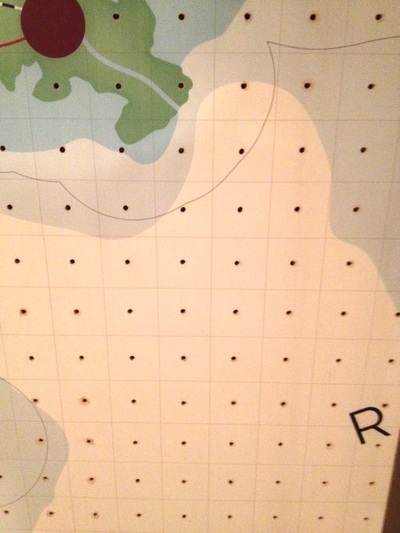 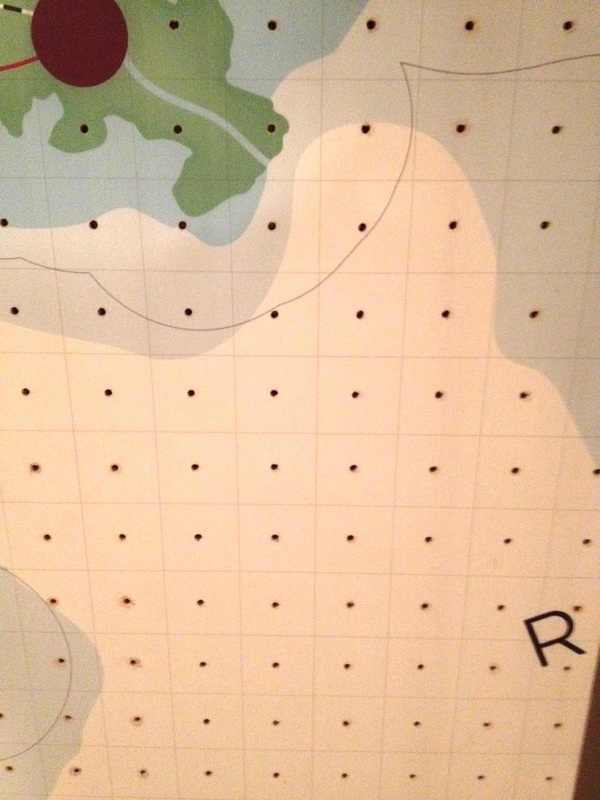 And then we had to drill 1500 little holes into the game board. 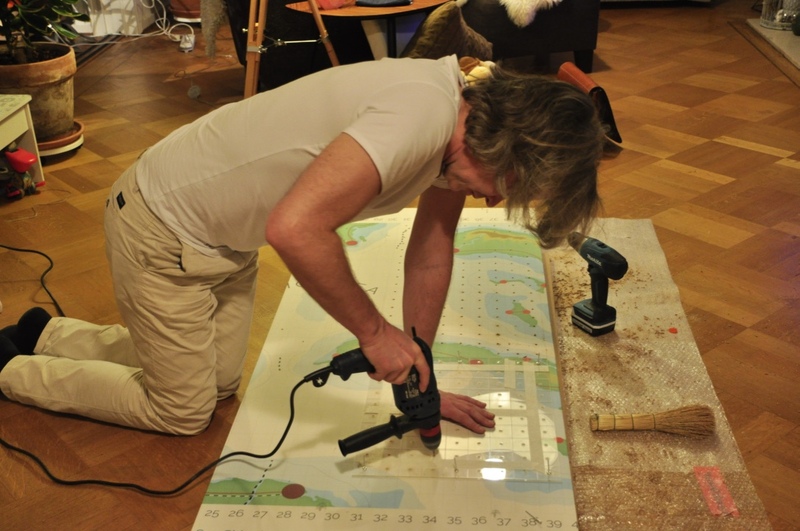 We enjoyed working on sundays and evenings with a glass of wine or beer. It paid off!